Sobranie Blues - There are different types of Sobranie blues, but they all rely on the same idea: a light cigarette with an extremely soft taste for women who smoke on a regular basis. They're either slims or regular. Sobranie Mints - These light cigarettes have a rather discreet hint of mint and are ideal for young women who have just started smoking. Sobranie Pinks - Light and airy. Even if they are well-balanced when it comes to tar and nicotine, they feel just like an excellent ultra light cigarette. 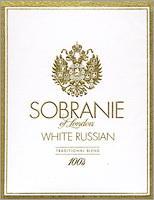 Sobranie Whites - These very lights cigarettes (tar 1 mg, nicotine 0.1 mg) are fun and very discreet. Even so, the package is elegant and chic. 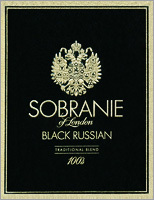 Sobranie Citrus - Difficult to find. The pack is yellow, suggesting the aroma, which is a soft combination of good tar and a very light hint of lime. If you can't afford the more expensive varieties, you should definitely try the ones described here, because the two categories display many similarities in both design and taste. Don't let yourself fooled by the impression that these cigarettes have been created for women only. It would be more accurate to consider them an elegant urban accessory for both men and women. The price range of these cigarettes is similar to that of many other brands like Kent, Camel, or Salem, but somehow they manage to stand out: they're more elegant than and not as common as their counterparts. As such, they are perfect for persons who like to show off at a party or meeting.